On April 4, 1968, Dr. Martin Luther King Jr. stepped out of Room 306 and descended the steps of the Lorraine Motel in Memphis, Tennessee. After a long day of work, he briefly spoke with a few colleagues in the parking lot, and then ascended the stairs to rest. In an instant, the world was robbed of one of its greatest leaders. 50 years have passed since that detestable day in Memphis. Dr. King was not defined by this moment. Instead, his resolute character, vision, and leadership propelled the Civil Rights Movement forward and continues to transform the world today. 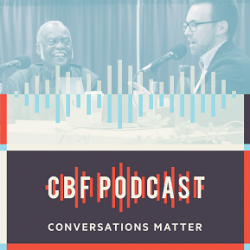 To follow in the footsteps of Dr. King, to raise awareness around the persistent rural poverty in America, and to advocate for racial justice and healing, CBF’s Together for Hope has created Civil Rides. April 4-6, this will be a 3-day trek from the steps of the National Civil Rights Museum in Memphis to Jackson, Mississippi. Together for Hope was formed in 2001 as a 20-year commitment to the 20 poorest counties in the United States. This was the origins of CBF’s Rural Poverty Initiative, which later became Together for Hope. From our inception, we have adamantly followed the practice of Assets Based Community Development because we are convinced that key to alleviating poverty in these rural areas already exists with the people who are there. It is in these long-term partnerships with local leaders that Together for Hope has been forged as a force for the common good in rural America. For more information about and to register for Civil Rides, visit www.civilrides.com. This podcast episode is brought to you by The School of Divinity at Gardner-Webb University and David Correll of Universal Creative Concepts.